This simple recipe makes a light lunch or summery starter. I used the Peri Peri flavoured hot smoked salmon because the yogurt sauce is nice contrast for the chili kick but you can use regular hot smoked salmon if chili flavoured salmon is unavailable. The chili salmon was actually milder than I anticipated. Using a vegetable peeler, peel the cucumber into ribbons. Aim for a small strip of skin on each piece (for aesthetic purposes). Arrange the ribbons on two plates. Finely grate the garlic (I use a Microplane zester), chop the mint and mix into the yogurt. Dot the yogurt sauce on top of the cucumber ribbons. Break up the smoked salmon into smaller pieces and add to the plate followed by capers and black olives. Season with salt and pepper to your liking. Enjoy! Thanks to Sealord, I’ve got a summer prize pack to give away. The pack includes a Sealord chilly bag, a stainless steel lunch box, a picnic blanket and Sealord’s Manuka Hot Smoked Salmon vouchers. To enter, fill in the form at the bottom of the giveaway post here. 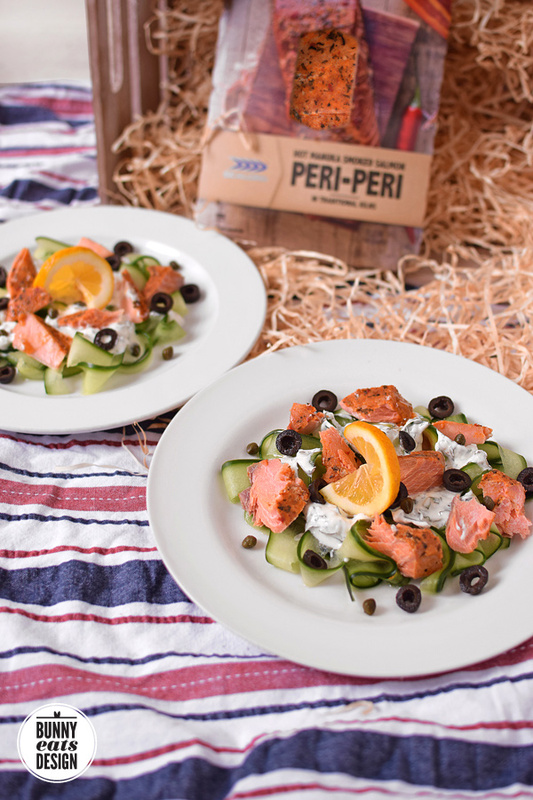 Sealord recently won the Supreme Award at the New Zealand Food Awards for their Manuka Hot Smoked Salmon. The flavours in their Manuka Hot Smoked Salmon range: Natural, Peri Peri (bird’s eye chili) and Tuscan. 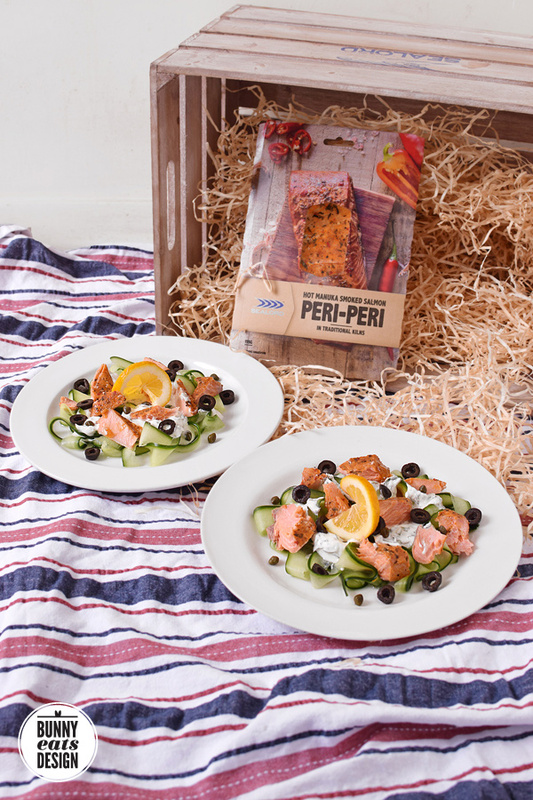 To get a taste of Sealord’s Peri Peri Hot Smoked Salmon salmon for yourself, don’t forget to enter my giveaway here. This Looks SOOO Delicious ! PS – don’t think your hyperlink for entering is working???? 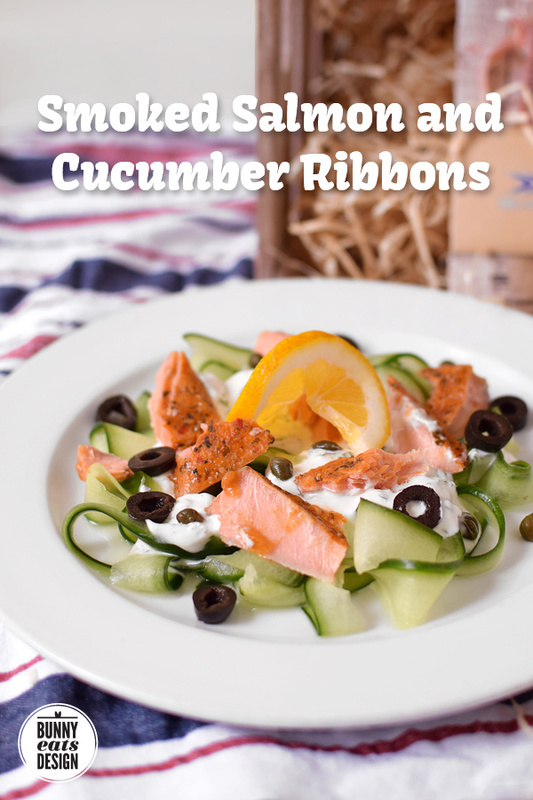 Cucumber ribbons is such an elegant way to describe these! They look fantastic. Good looking little salad, my friend. You’re like on a posting roll with this Salmon huh? I just found your blog and– oh gosh– everything looks so delicious! So pumped to make this at my next brunch.